A siren points to the cadential formula in the office for Saint Cecilia. Vendôme, Bibliothèque Municipale 0017E, f. 527v. I am interested in supervising projects on late-medieval music, basically in the period c.1200-c.1380. I will be most interested in your project (and particularly useful to you as a supervisor) if you want to work on anything involving any combination of the following: songs, motets, intertextual issues, broad cultural issues, court culture, music analysis, gender and sexuality studies, nature and animals, French literature, historiography, the ontology of music, Chaucer. If you have only vague ideas for a project in this area, I might be able to suggest something that would build on your interests and skills — just get in touch by email. Ideal students should be willing to learn to read in modern German and an appropriate medieval language, willing to examine medieval manuscripts, and willing to engage with a spectrum of issues from the minutiae of musical details and the broadest of critical approaches. If you are interested in an academic career after your graduate work, I will offer you assistance with professional development, including the delivery of conference papers and job talks, IT and digital humanities use, and teaching. My current and recent students are listed here (dates, where give, are completion dates). Please feel free to get in touch with them for the unvarnished account of what it’s like working with me! I am also interested in students coming for shorter periods from the home institutions as part of international exchange projects, such as ERASMUS. Just get in touch. 2018. Marc Lewon (as advisor; supervisor: Reinhard Strohm): ‘Transformational practices in fifteenth-century German music’. Prof. Dr. Lewon is now Dozent für Plektrumlaute und mittelalterliche Zupfinstrumente, Musikgeschichte, Instrumentenkunde (Mittelalter-Renaissance) at the Schola Cantorum Basiliensis, Switzerland. 2017. Joseph Mason: ‘Melodic exchange and musical violence in the thirteenth-century jeu-parti’. Dr Mason is now Stipendiary Lecturer in Music at New College, Oxford. 2017. Henry Drummond: ‘Accommodating Poetic, Linear Narratives with Cyclical Repetition-Based Musical Poetic Structures in the Cantigas de Santa Maria‘. 2017. Meghan Quinlan: ‘Contextualising the Contrafacta of Trouvère Song’. Dr Quinlan has a three-year postdoc at the University of Uppsala, funded by Riksbankens Jubileumsfond (The Swedish Foundation for Humanities and Social Sciences) to work on her project ‘Musica Mapped and Unmapped’. 2016. Matthew Thomson: ‘Interaction between Polyphonic Motets and Monophonic Songs in the Thirteenth Century’. Dr Thomson is now the Fitzjames Research Fellow at Merton College, Oxford. 2013. Henry Hope: ‘Constructing the Minnesänger musically’. Having been a postdoc in Musicology in Bern, Switzerland, Dr Hope is now training to be a priest. 2013. Christopher Garrard (as advisor for critical theory work; supervisor: Martyn Harry): Composition. I am delighted to mentor early career researchers in the field of early music who have postdoctoral appointments in Oxford. If you would like to explore the possibilities for postdoctoral research work in Oxford, please get in touch with me or with one of my current or former postdocs. 2015-2017. Mikhail Lopatin, BA/RS Newton Postdoctoral Fellow at St Hugh’s College. Dr Lopatin is now a Humboldt-funded Postdoc at the University of Würzburg, Germany. 2014-2016: Eleanor Giraud, Lord Crewe Junior Research Fellow in Music at Lincoln College. Dr Giraud is now Lecturer in Ritual Chant and Song at the Irish World Academy of Music and Dance, University of Limerick, Ireland. 2010-2017. Katherine Butler, BA Postdoctoral Fellow and then Research Assistant on the AHRC funded project, Tudor Partbooks (see her research blog: Early Modern English Music). Dr Butler is now Senior Lecturer in Music at the University of Northumbria, Newcastle, UK. 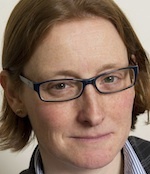 2010-2013: Catherine A. Bradley, JRF at Queen’s College. Prof. Bradley is now Associate Professor of Music at the University of Oslo, Norway. 2009-2012: Matthew Cheung Salisbury, RA for DIAMM. Dr Salisbury is now Lecturer in Music at University College, Oxford, UK.